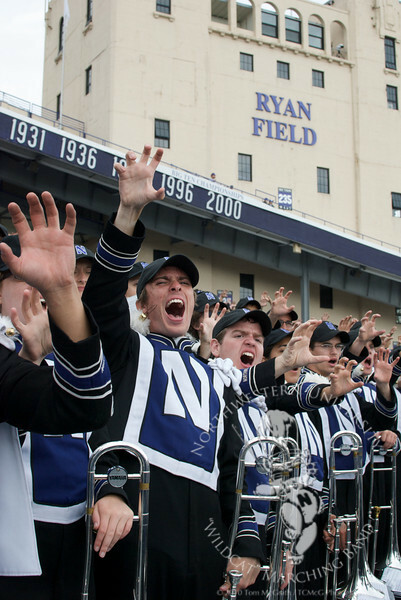 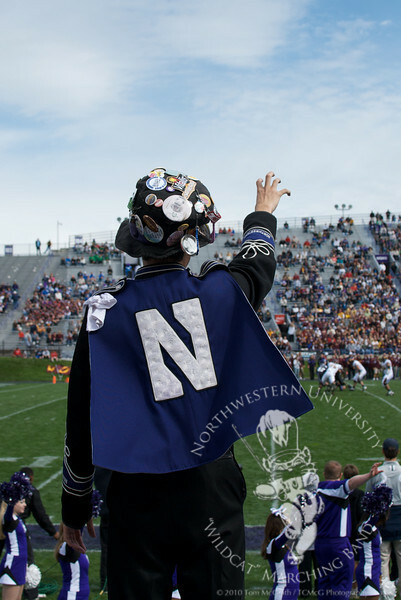 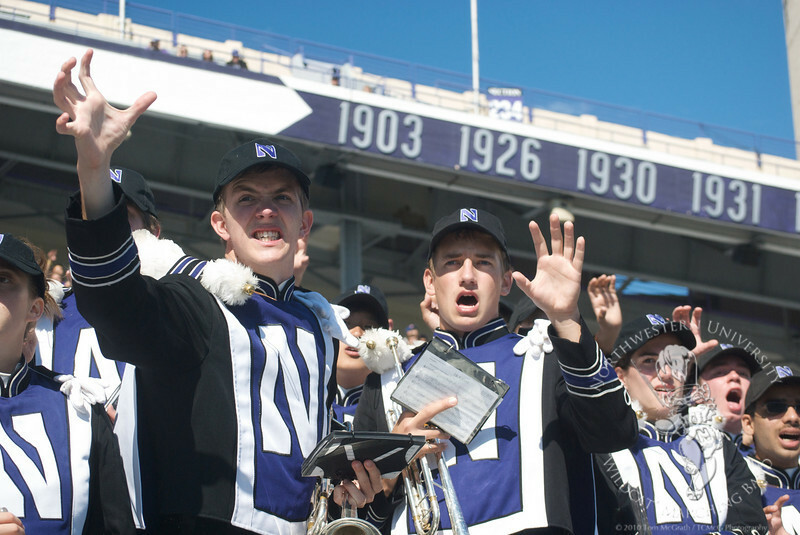 Trombone section members (or "Boneheads") Brian DeConinck and Nic Roth encourage Northwestern's defense during Northwestern's 30-25 victory over Central Michigan University. 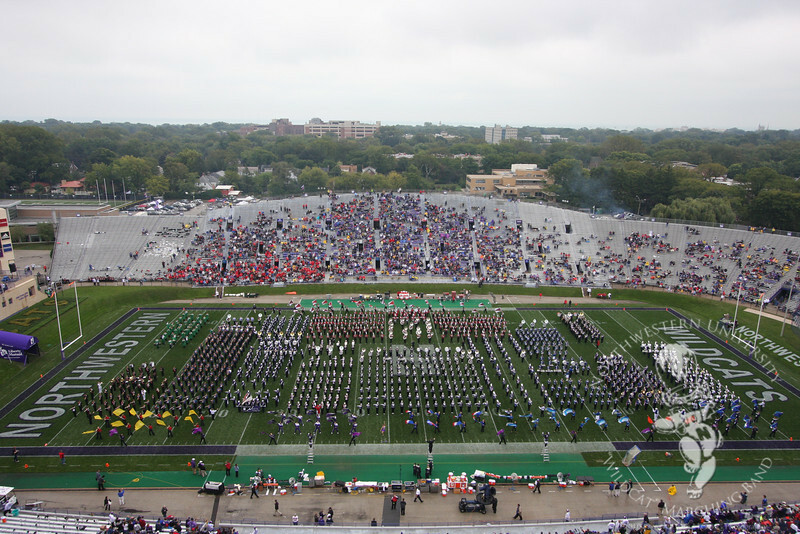 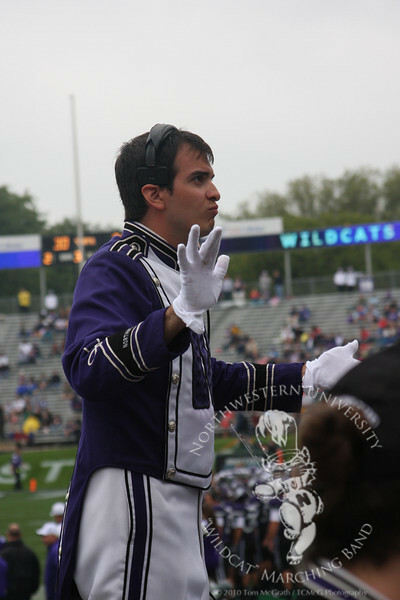 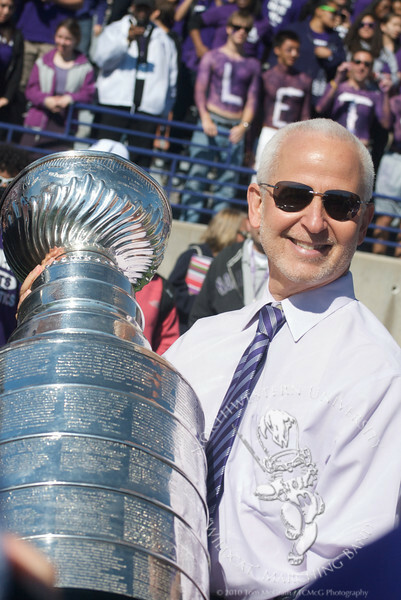 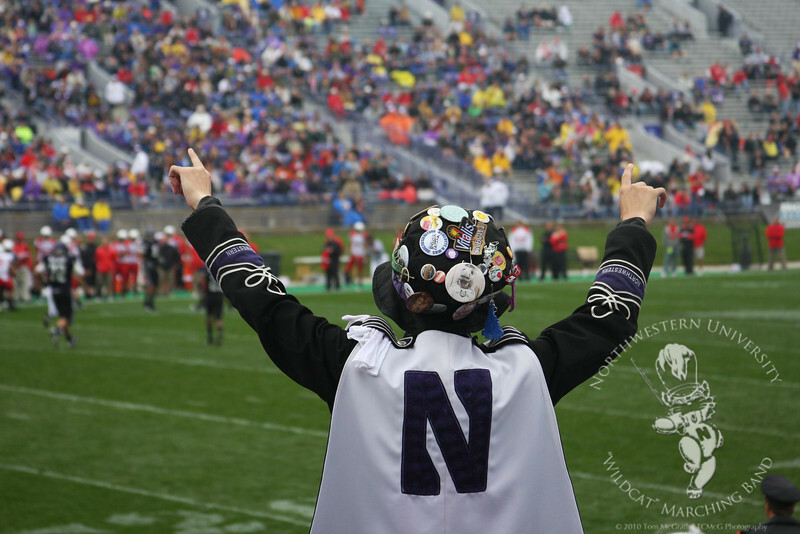 Drum Major Will Borges performs pregame drill before Northwestern's September 25th game against Central Michigan. 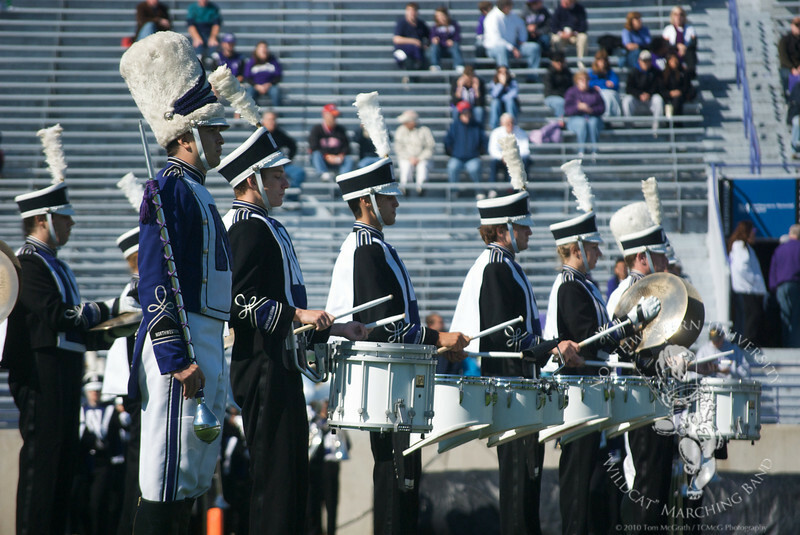 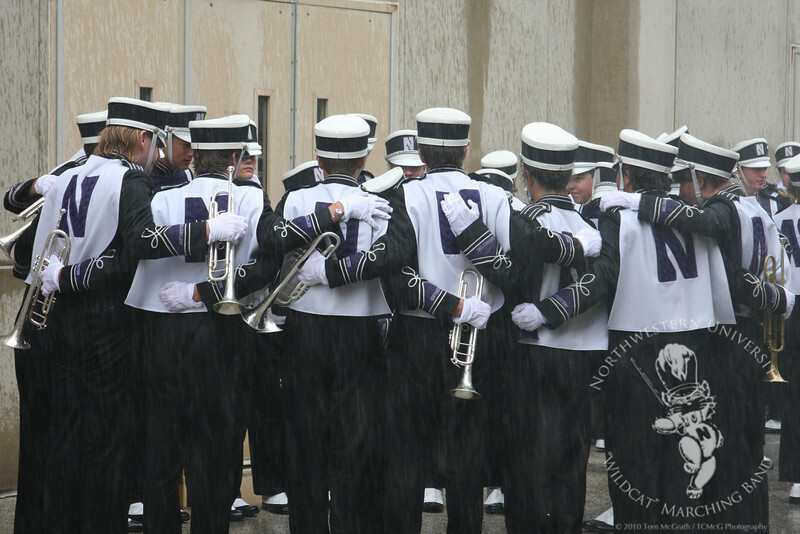 Drum Major Will Borges and members of the Northwestern University Marching Band Drumline pause between the "Salsation Cadence" and the "Fast Entry" portions of the "Wildcat" Marching Band's pregame performance. 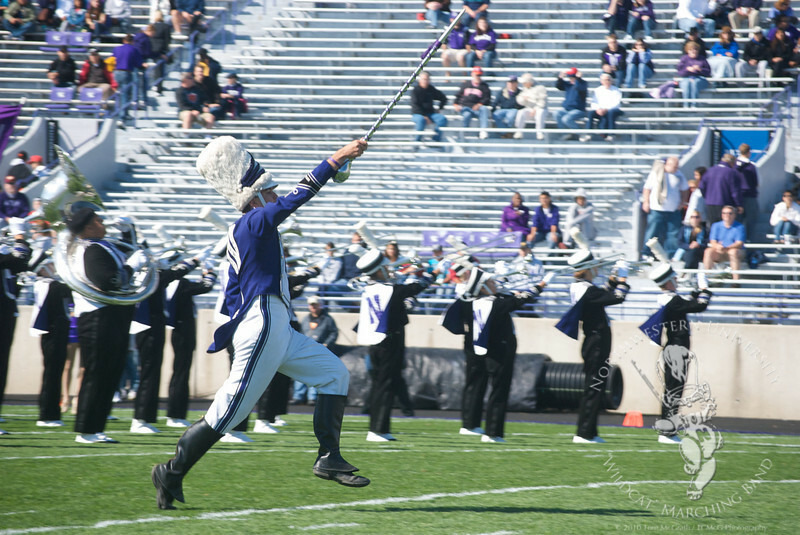 Feature Twirler Kali Maginity performs during halftime of the Northwestern vs. Central Michigan game. 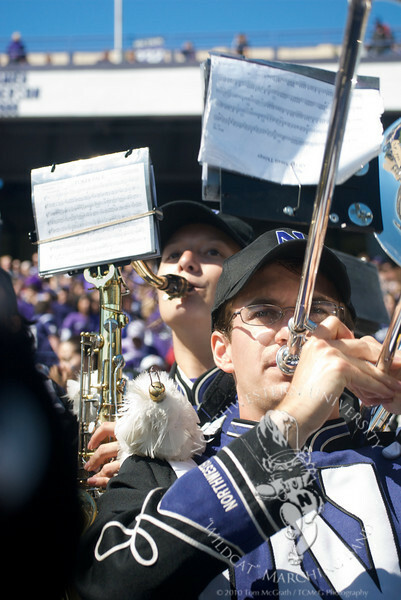 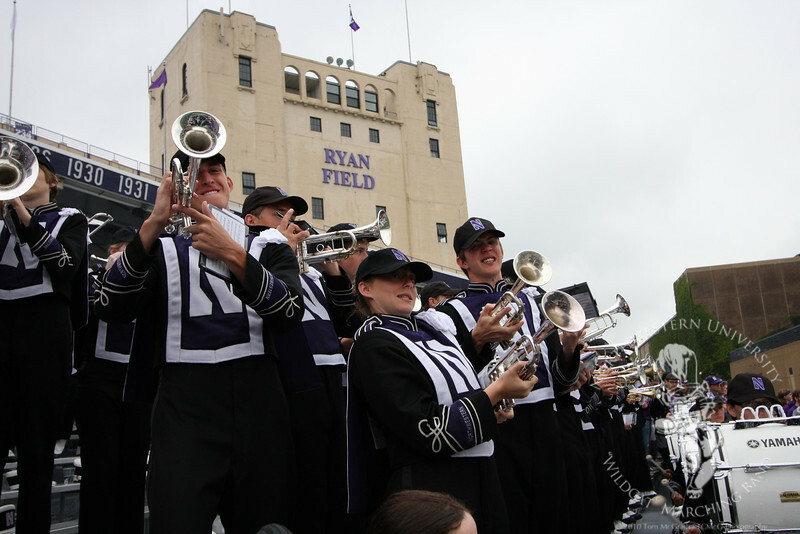 Margaret Koeppel (Tenor Saxophone) and Phillip Smith (Trombone) perform in the stands during the NU/CMU game on September 25th. 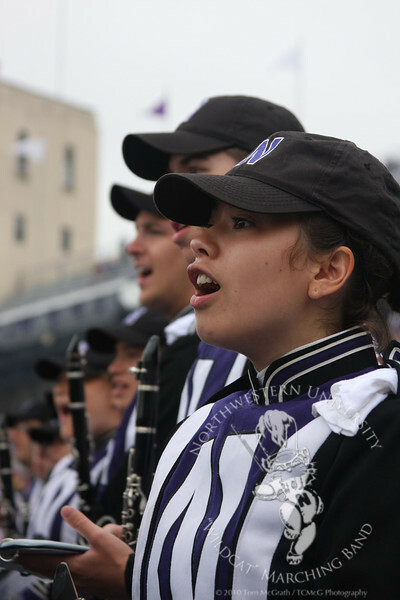 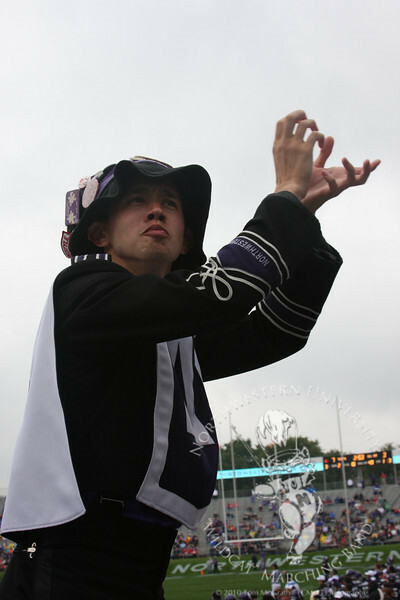 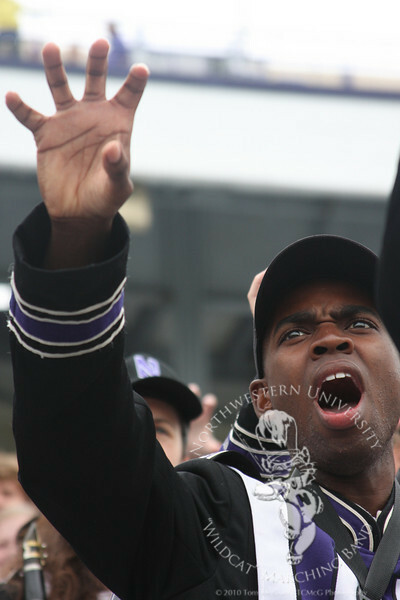 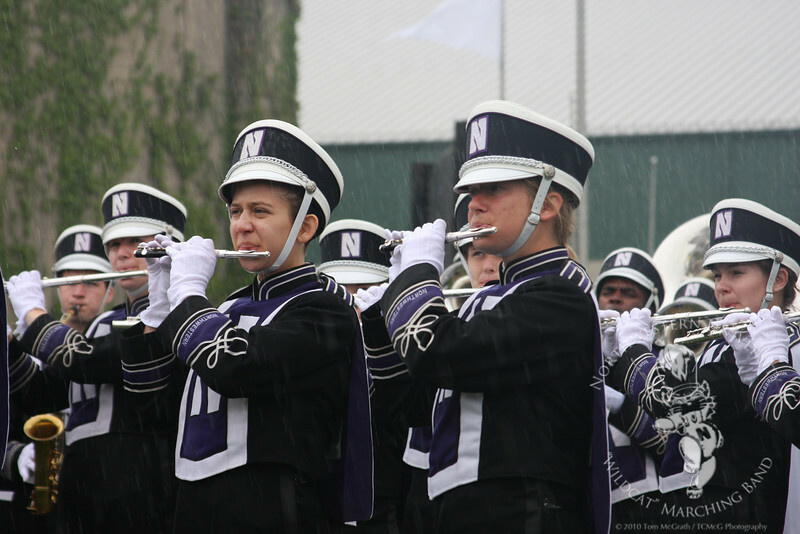 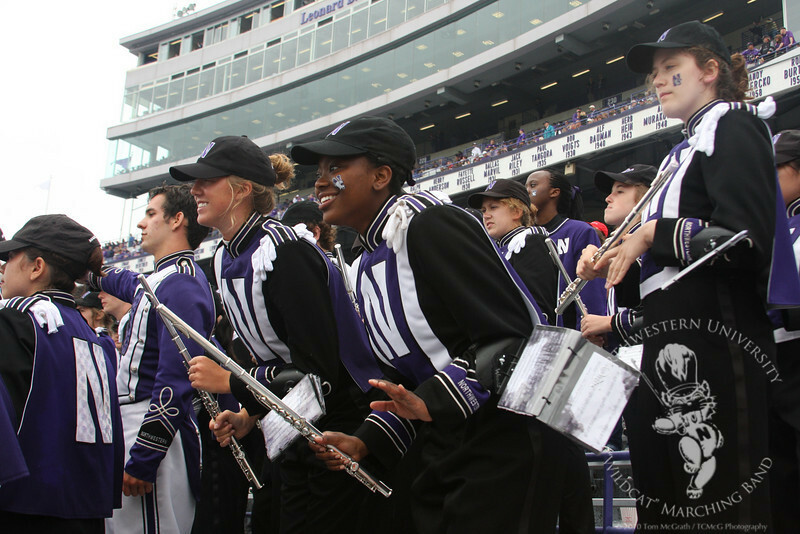 Alex Hurd (l) and the trumpet section encourage the Northwestern defense during the first quarter of Northwestern's 30-25 victory over Central Michigan. 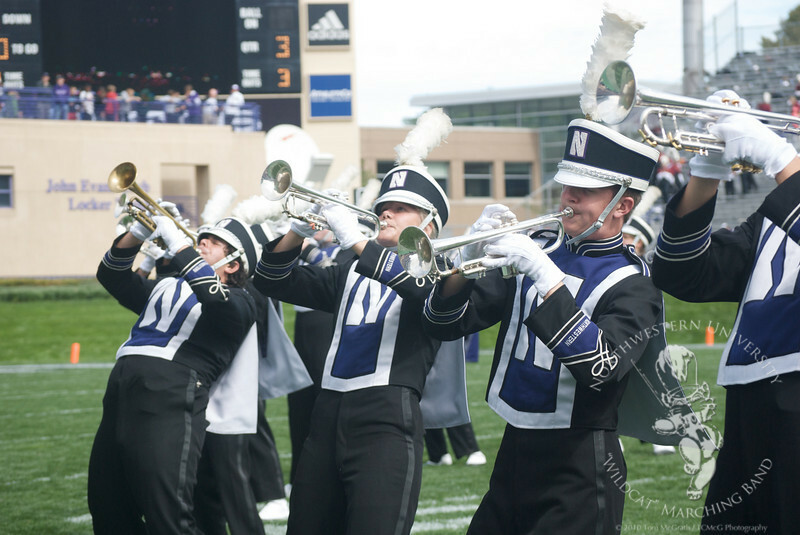 Trumpet players "spread and wail" during NUMB's halftime show, which featured the songs of the band Journey. 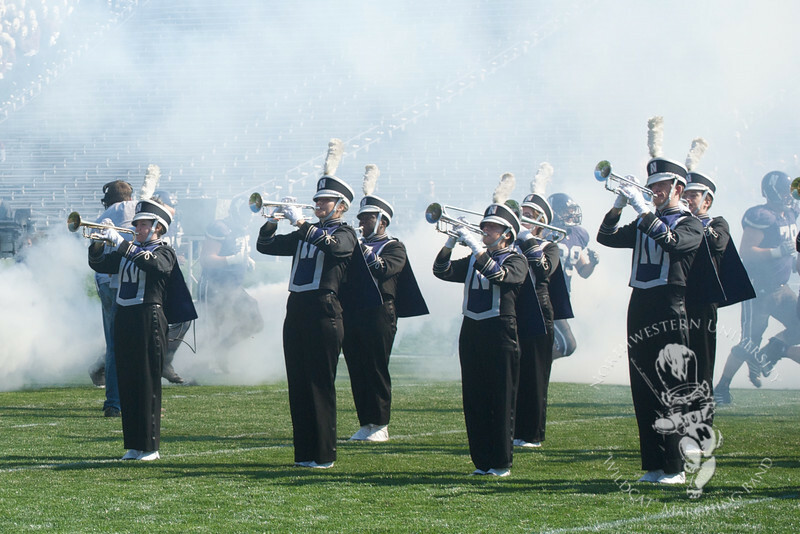 Members of Northwestern's football team run through a cloud of smoke and the traditional tunnel formed by the band at the end of the pregame show.